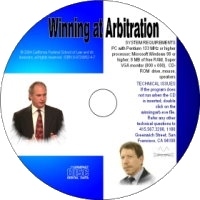 This CD-ROM training module guides agency and union representatives through the arbitration of a grievance. 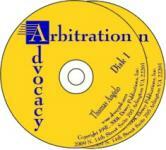 As union activity increases in the federal workplace, the number of issues pursued to arbitration increases as well. Practitioners at all levels will benefit from a review of the basic concepts of arbitration as well as the more advanced tips and strategies discussed by federal employment law attorneys Broida and Hadley. Topics covered include: the selection of an arbitrator, framing the issues for arbitration, developing a case theory, selecting and preparing witnesses, presenting testimony, introducing evidence and exhibits, building a strong opening and closing argument, and research techniques.